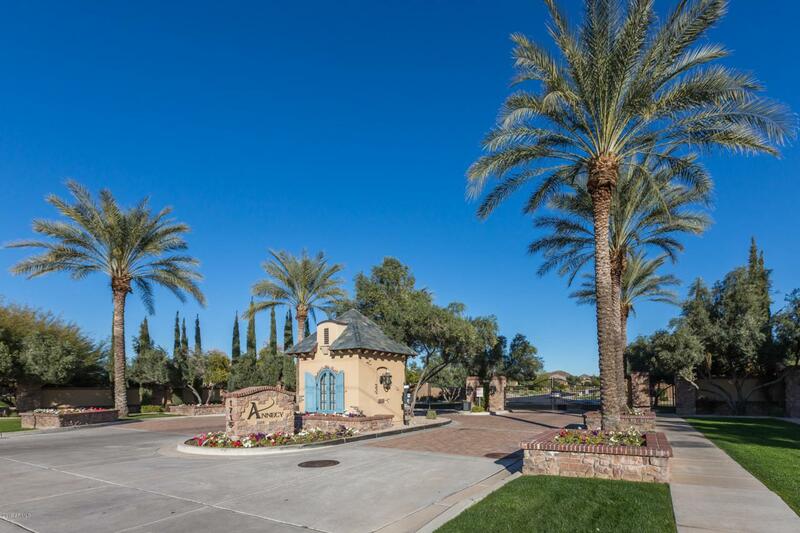 Fabulous opportunity to build your dream home on the last available homesite within Annecy; a gated community of custom homes just minutes from Loop 202, Red Mountain District Park, golf & shopping! This corner lot is just over 1/2 acre and borders a greenbelt. Plans are available, and the seller disclosures & CCRs are in the documents tab of the listing. Drive by and take a look today!